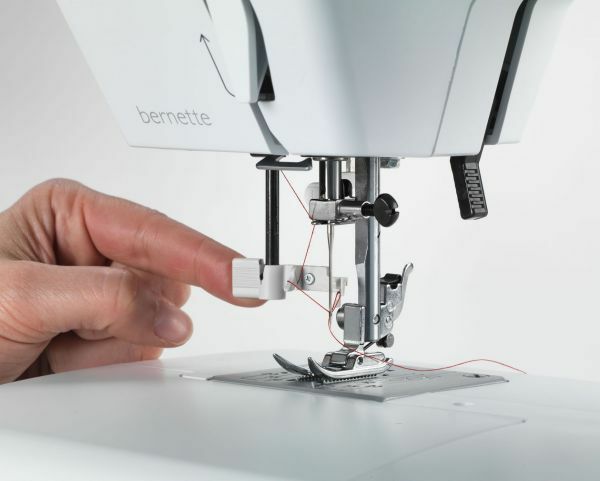 The semi-automatic threader of the Bernette 33 takes all the hassle out of threading your needle. Complicated threading is a thing of the past as the threader simply catches hold of the thread and pulls it through the eye of the needle. 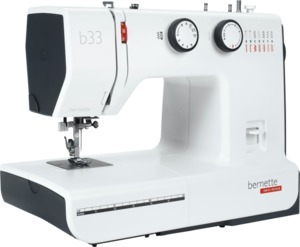 This means the Bernette 33 is ready to go in seconds - and you can get started on your creative sewing project. 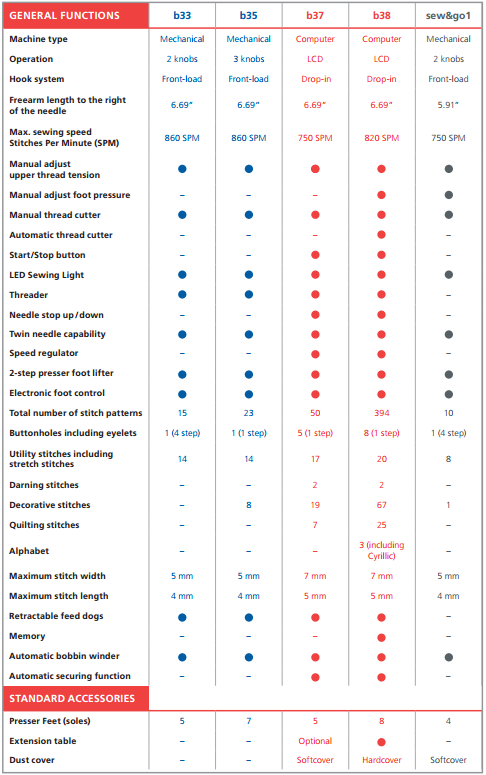 However thick or thin your chosen fabric – the Bernette 33 ensures perfect stitch quality. It manages even thick or heavy layers of fabric with ease, as the 2-step foot lift provides extra space under the presser foot. Simply raise the foot lift of the Bernette 33 – and even thick layers of denim or linen can be placed effortlessly under the presser foot. Thanks to its excellent piercing power, you can sew through several layers of fabric with ease. 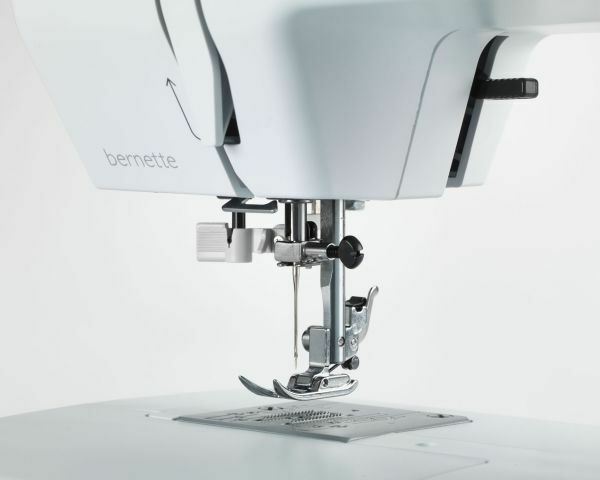 The pressure of the presser foot can be adjusted to suit any textile – which means that even sewing projects requiring tricky fabrics can be managed to perfection with the Bernette 33. As well as being simple to operate, the Bernette 33 offers an easily accessible reverse lever, ample space and an accessory box for storing your sewing utensils so that they are always to hand.